Choose your characters and slay your enemies through various maps. Ther are 3 Stickmans, each with their own weapons and styles, to choose. There is even a Stickman gun that can wipe your foes and powerful boss monsters easily! 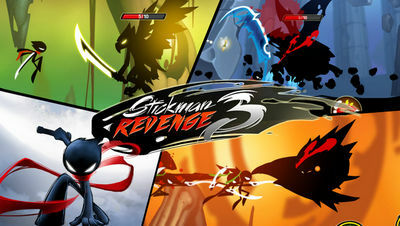 Stickman Revenge 3 (mod gold) also features a Pet system with pet types such as: Angels Stick, Ghosts Stick, Dogs Stick, Pigs Stick and Butterfly Stick which will increase the bonus and score and gain more coin in the runway for Stickman. They are also great warriors.